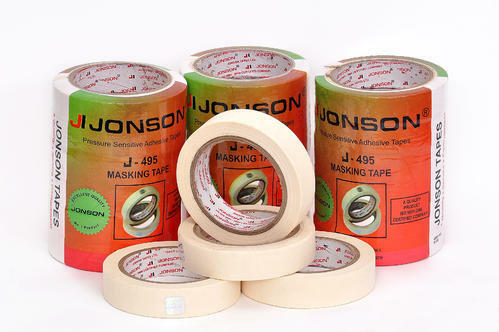 We are engaged in supplying you the high in demand supreme quality Adhesive Masking Tapes which are known for their wear and tear resistance. These don’t have a strong adhesive like many other just to ensure they can be taken off easily when required. These are highly used in painting business where a certain part is not supposed to be painted and later taken off. It is just the right strength of adhesive makes it a perfect tape for the work it is required for.